A few weeks ago, we closed on our new home. Because we’re still waiting to officially sell our current home, we have had the luxury to take our time moving. Being able to choose paint colors and decide on furniture layouts without having all of our stuff in the rooms has been really nice. One room I can’t wait to decorate – the new nursery. We’re pretty sure we’re having another boy, and as soon as I found buffalo and cactus swaddles on Spearmint Baby, I knew how I wanted to decorate. 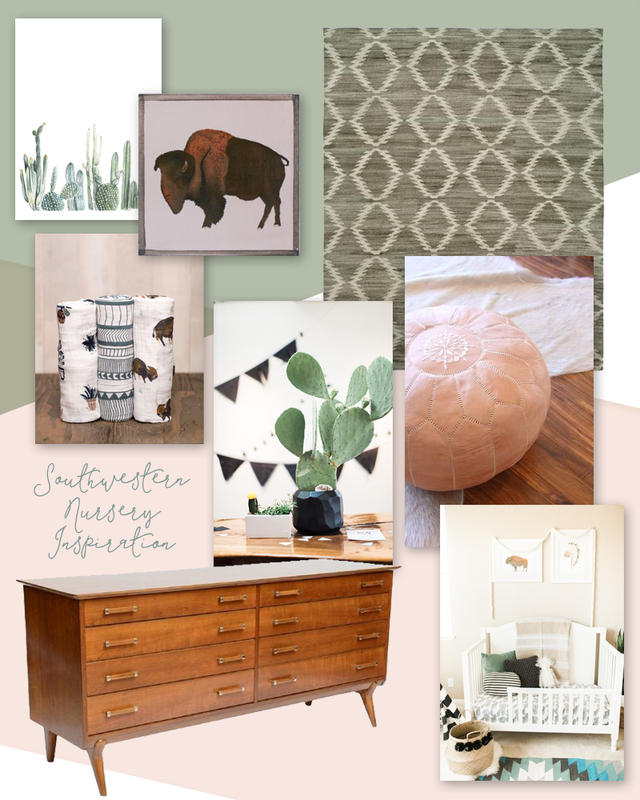 The inspiration for the new nursery is Southwestern meets midcentury with medium-toned woods and a mix of greens and oranges. Bright whites mixed with watercolor cactus, succulents and tribal patterns – I just can’t wait to get started!